"Honesty and integrity are the values we all bring to this business which I believe set it a part and make it a valuable business. We treat every customer with the utmost respect whether they are spending $10 or $10,000. Your reputation means a lot in the jewelry business where we sell expensive items that many people don’t know anything about." Steve, tell me about Pace Jewelers. The Business was started in 1948 by my father, Edgar Pace. We were actually across the street then, where the Village Grind and GB&D are now. It was initially a watch repair shop and gradually began selling different watch brands like Bulova, Elgin and Benrus. Then adding more bridal jewelry and gift items. Did you work in the shop growing up? Not much. I played a lot of sports in highschool— I went to Parker— and played basketball and baseball. I did make up some pearl earrings in the summer Dad used to pierce ears with. I went to Clemson for a year and studied forestry, but after a year, lost my focus and decided to go into the air force. I spent three and a half years in the air force. I was stationed for basic training in Texas at Lackland Air Base, then I went to tech school at Sheppard Air Force Base in Wichita Falls, Texas. It was a big place! And hot. I remember it was a hundred and something degrees when I left. I was also stationed at Camp Lejeune, the Marine Corps base in Jacksonville, NC. When did you return to Greenville? I was 23 when I came back to Greenville. When I came back, I knew I wanted to give the store a chance. It worked out for me to come back and work with my Dad. I had a child at the time, and I didn’t know if I wanted to go back to school, or work here in the store, but my Dad offered me a position and I knew it would be a good opportunity. It was a great chance to support my growing family. From the individuals that worked here, I learned watch repair and jewelry repair. I did some short-term seminars, workshops, which were a few weeks, or two week classes. That was in Little Rock, Arkansas. I also graduated from the Geological Institute of America’s correspondence diamond grading course. Were you in the space across the street? No, we moved to this new location in 1960. Previously it was a cafe. My dad, renovated the space to expand it to house the inventory he had at the time. In the 60’s and 70’s, a lot of jewelry stores carried small appliances, luggage, and even televisions. He carried radios, china, crystal, and sterling silver that was for registered brides. There were a lot of brides from the Mill community: hundreds were register here over the years. That was probably our heyday for the business. We built up a good reputation, and the business we got from the bridal clientele played a big part of that. How did the business begin to evolve? It has been changing greatly in the last few years, and we saw the negative side of the community changes in the late 70s and early 80s when the textile mills started closing. They were lean times, but we were very blessed to have reliable customers who wanted to support us from the wider Greenville audience. The bridal registering business, like china, crystal and silver went to the department stores at that time and that was challenging because that was such a big part of our business. But we always focused on quality work, quality customer service, and quality products. What we learned is that we had to adapt to the conditions we were presented with, and so we began to do more repairs and selling more jewelry. That has been our focus the last 25 years. During that time, were you taking more responsibly in the shop? My Dad got cancer in the late 70’s, and by the mid ‘80s I was taking more of the responsibilities of the shop on myself. He was still able to work for about 12 years after getting lymphoma cancer, and then did pass away in 1994. What does Pace Jewelers look like today? Mostly, we sell diamond jewelry mainly engagement rings and wedding bands. About 25% of our business is from doing repairs for jewelry, watch repairs, battery replacements and the like. The rest of it is selling fashion rings, earrings, and necklaces, bracelets and things of that nature. In just the last 5 years we have gotten a lot more traffic. There has been a gradual increase in business the last 10 years, with the most dramatic increase this past 5 years. We did a facade renovation last year where we participated in a city-run program that helped to subsidize renovations. We got all new windows, a new door, new overhang; We painted the sides and just put up a new sign. What sort of interactions do you have with West Greenville? We are part of the business association. I may not have time to go to all the meetings, because of various obligations but we do try to stay involved. We also support the arts community. Last year we committed 5% of our sales to five different non-profits in this area: the Free Medical Clinic, GCCA, Triune Mercy Center, Safe Harbor, and the Soup Kitchen on Academy Street. When you look at the West Greenville Community, what do you hope or envision for the Village? We have some exciting plans for developing this business, which we will unveil within the next year. What I can say is that everything we do is geared toward better serving the Upstate. What has contributed to the success of Pace Jewelers? What makes our business successful is the quality of our products and the quality of relationships we provide to our customers. This is the issue with online sells. People want to see and tangibly feel the jewelry that they are purchasing. They can better gauge it’s quality, see how it was made, and interact with the individuals selling it. We have four employees, and a part-time employee. Jason is the manager. He is great! 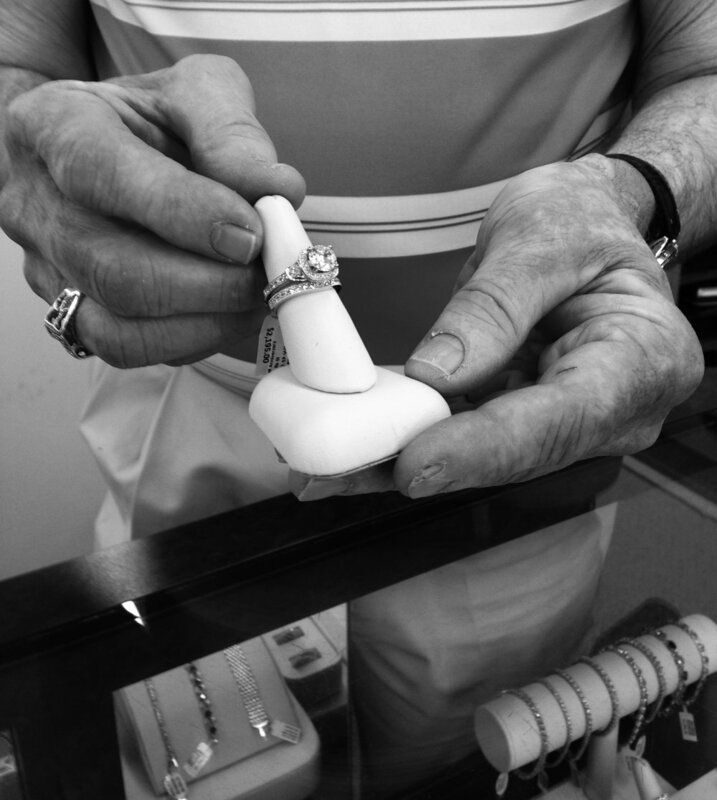 A personable salesman and does a great job taking care of jewelry repair, diamond and colored stone setting, and watch repair. Rebecca takes care of our social media, she manages our inventory and specializes in pearl restringing. Minnie came to us just recently with 6 years of retail jewelry experience. Her specialty is sales, watch repairs, and jewelry repairs. I do most of the administrative tasks along with my wife, Teresa who handles the bookwork. I also do quite a bit of watch repair. 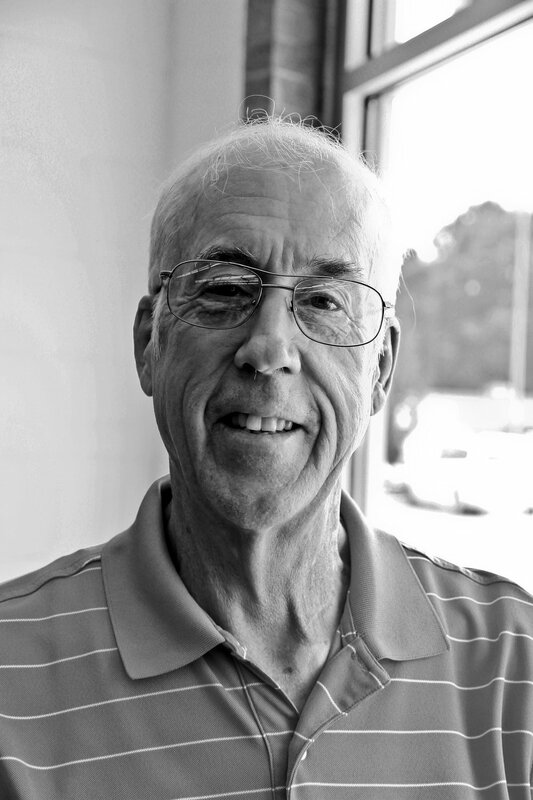 We all enjoy seeing families who have shopped with us for 3 generations or more. Honesty and integrity are the values we all bring to this business which I believe set it apart and make it a valuable business. We treat every customer with the utmost respect whether they are spending ten dollars or $10,000. Your reputation means a lot in the jewelry business where we sell expensive items that many people don’t know anything about.